Holster Pistols (sometimes called Belt Pistols) were designed to be carried on a person in a leather belt holster or slipped through the belt. They are a medium sized weapon with calibres generally ranging from 45 to 65. 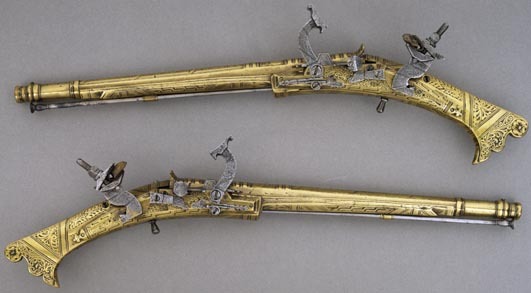 These pistols are made in either Matchlock, Wheellock, Snap Lock, Dog Lock or Flintlock styles. A Holster Pistol is usually solid enough to be used in punching or other close fighting after it has been discharged. 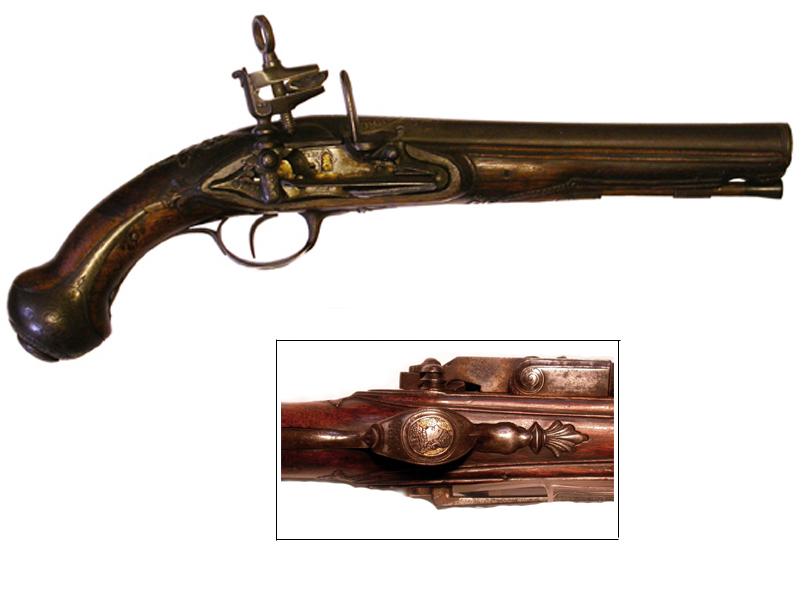 Dutch made belt pistol. Note the weighted but for balance and use as a club.